I have lost track of the number of cars I have leased and owned. Certainly around twenty, I would figure. Very few of them have been new. I just can’t justify driving off a new car lot and seeing the value drop in half by the time I reach the road. There are more important things I want to do with my money. So I prefer used. In Malaysia we had a 1996 Proton. Kind of like a Datson, if you can remember back that far. 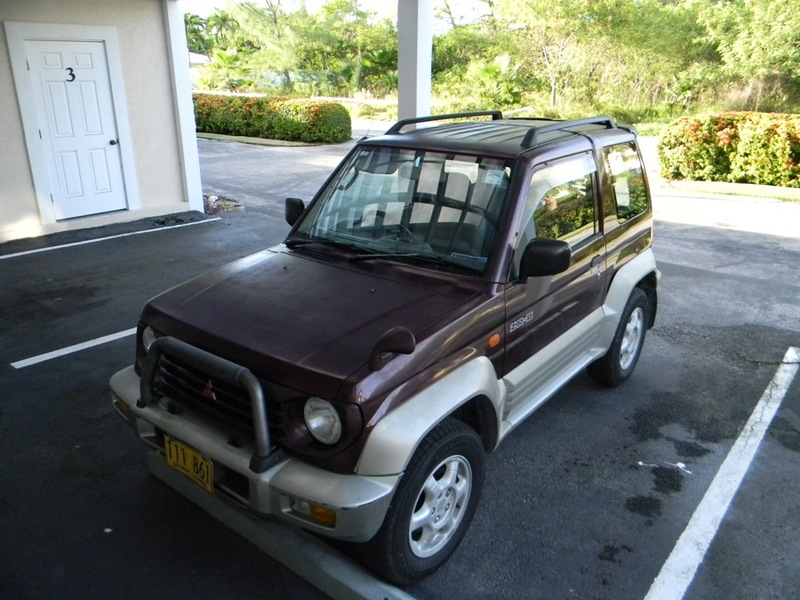 It had a 1.5 litre Misubishi engine in it that was in good shape, but it was nothing to look at. But at least the aircon worked, which in Malaysia was a must. Coming to the Caymans, we weren’t looking at anything better. 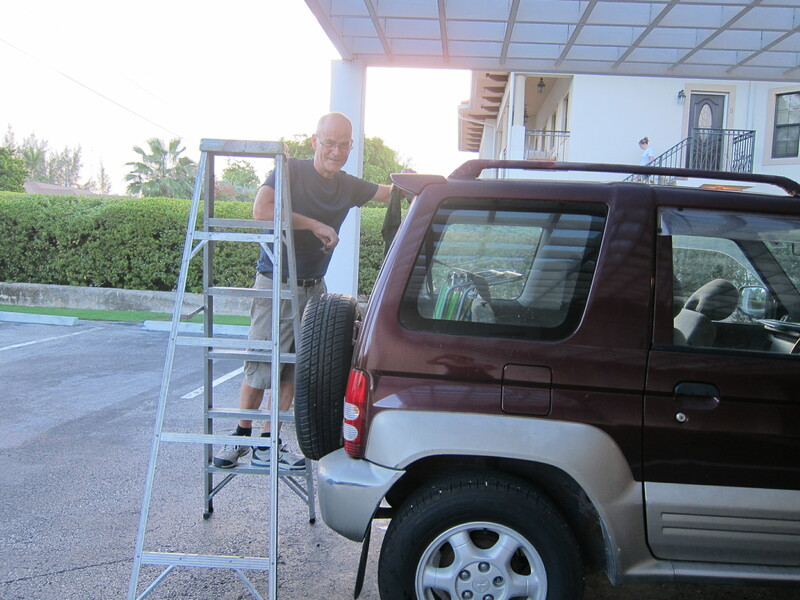 We bought a 1996 Mitsubishi Pajero Jr. and a bushel of problems. 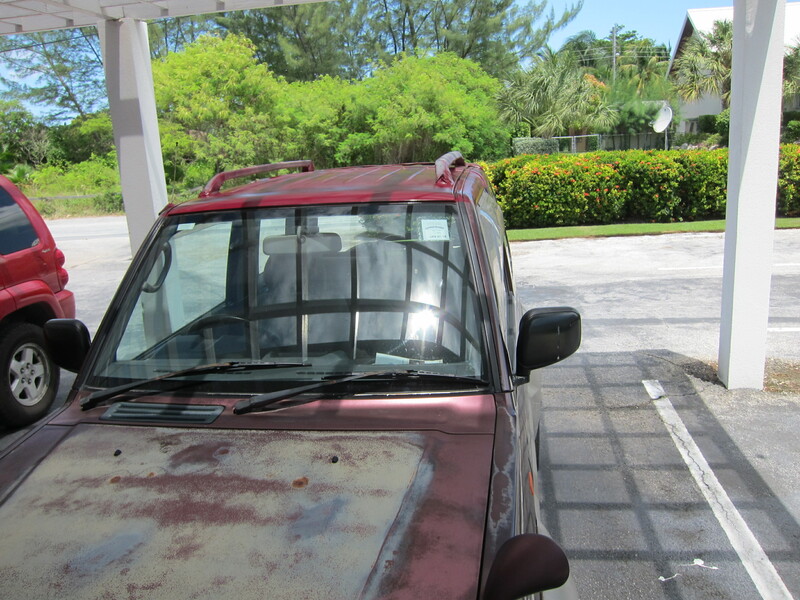 The tires were bald, the ball joint/tie-rods were loose, the rad leaked and the paint looked like it had spent most of the last 20 years parked under a colony of very loose bowelled birds. Tires were first, obviously. The mantra in F1 is that engine and chassis are just devices for keeping the tires connected to the road. Overstatement, perhaps, but it makes the point. Then I found a guy willing to rebuild the control arm assembly with butchered parts. The rad just needed a flush; the oil issue ditto, but the paint was an eyesore so matter which way you looked. And the cheapest quote I could find was $1500 Cayman which is like $2500 Canadian. I just couldn’t do it. So armed with little more than a couple of cans of spray paint and some steel wool I took on the job of repainting the hood and roof, the two worst offenders. Dodging tropical storms and mosquitoes on the one hand, and my own bone dead fatigue at the end of a work day on the other, I have persevered until the car looks at least half-decent. I thought to cut myself some slack by replacing the rusted out windshield wipers arms with new, but at $150 Canadian – each! – I decided to do them myself as well. 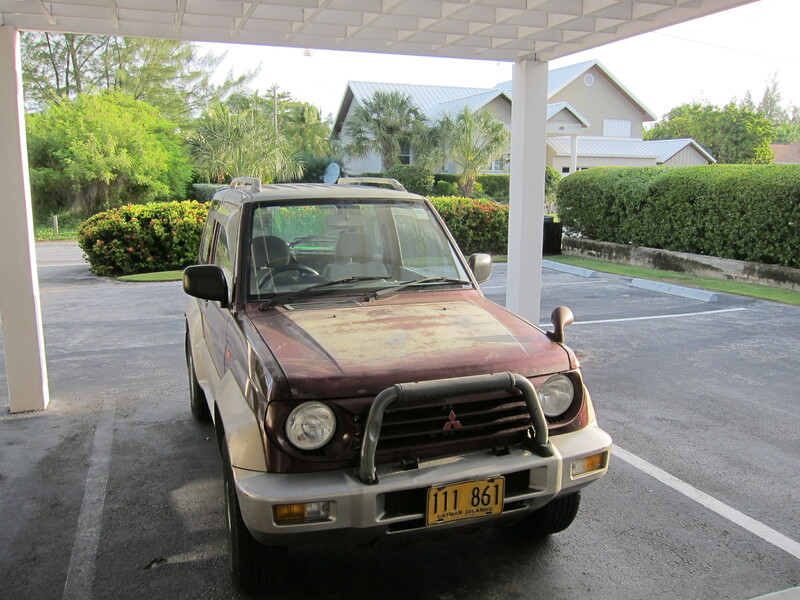 I am done, and at the end we still have a beat-up island car that is twenty years old. But it does look a little less embarrassing. Sting Ray City was inadvertently created in the early 1900s when fishermen anchored in the calm waters of the North Sound to clean their fish and cast their unused bait overboard. These gentle giant stingrays who hunt by smell quickly discovered this new source of “fast food”. 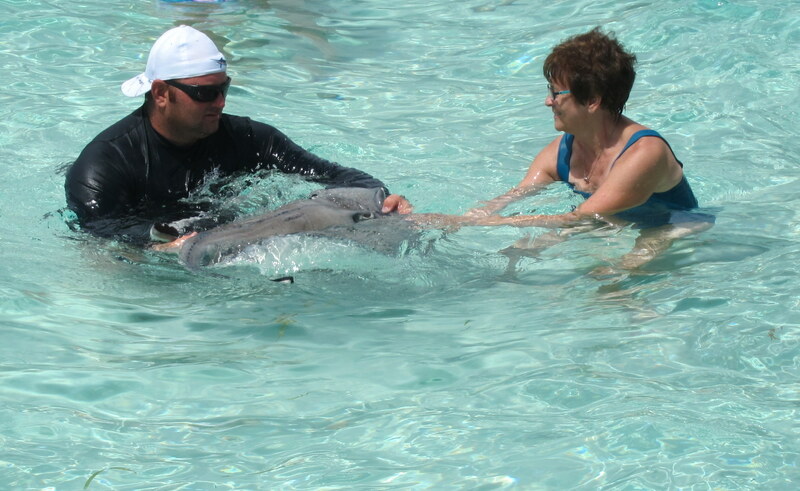 The water on the Sandbar ranges from 3-10 feet and regular visitors come to frolic with these magnificent creatures. 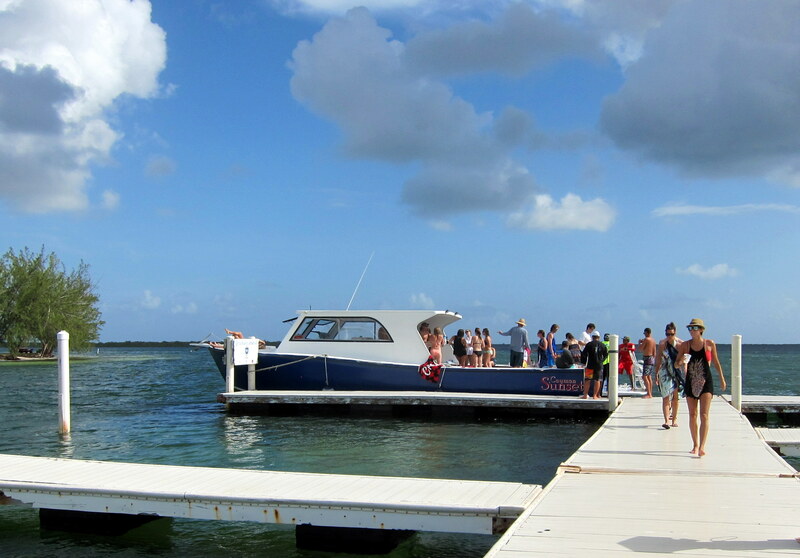 Some of the staff at the school arranged to rent a boat for about 25 of us to make the approximately 45 minute trip out to the sandbar. 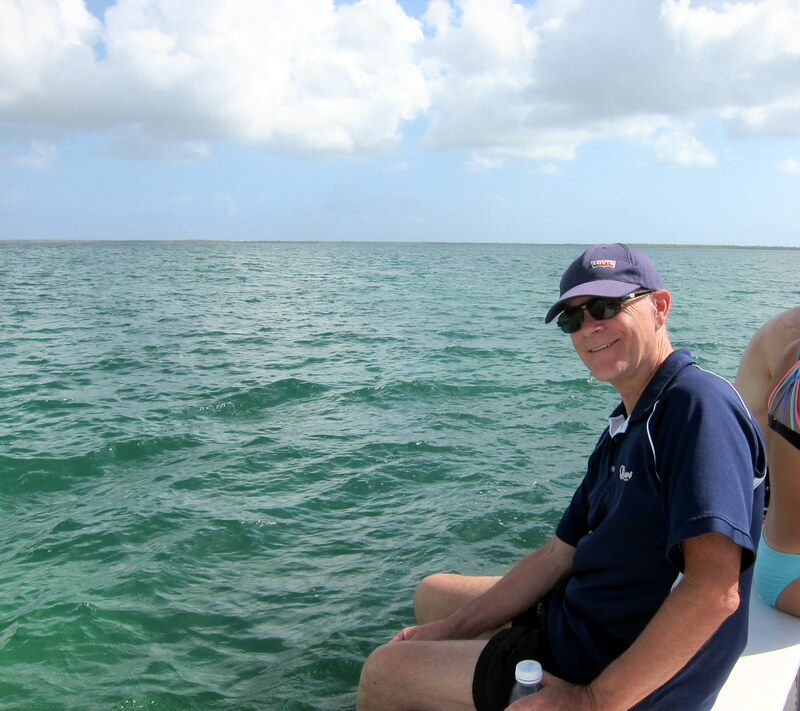 The waters of the Caribbean Sea were calm and beautiful and it was breathtaking to see literally hundreds of rays. 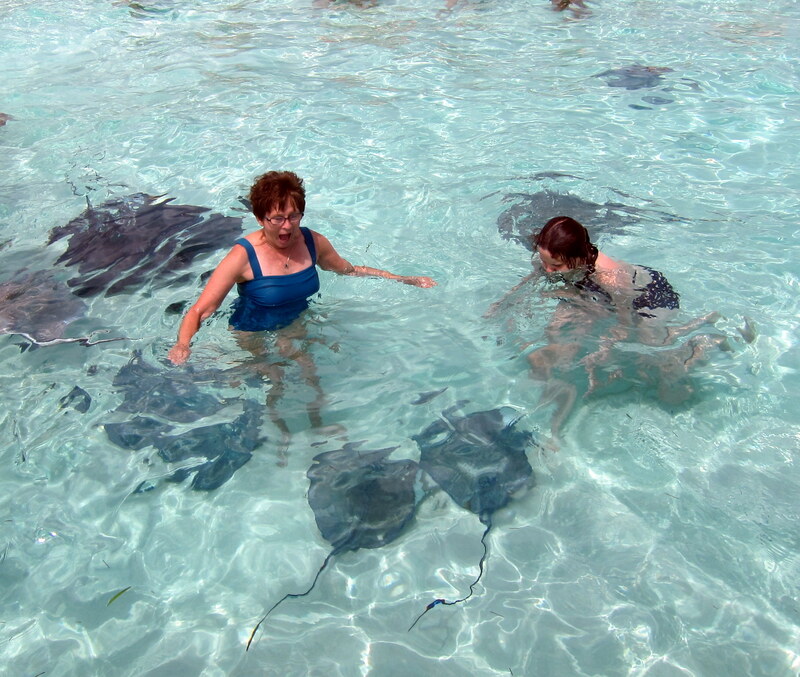 It was initially somewhat terrifying to be surrounded by these huge stingrays which fearlessly glide around you but I eventually made my peace with them and even touched one. From there we headed further across the sound to Rum Point which is on the opposite side of the bight to our little canal. 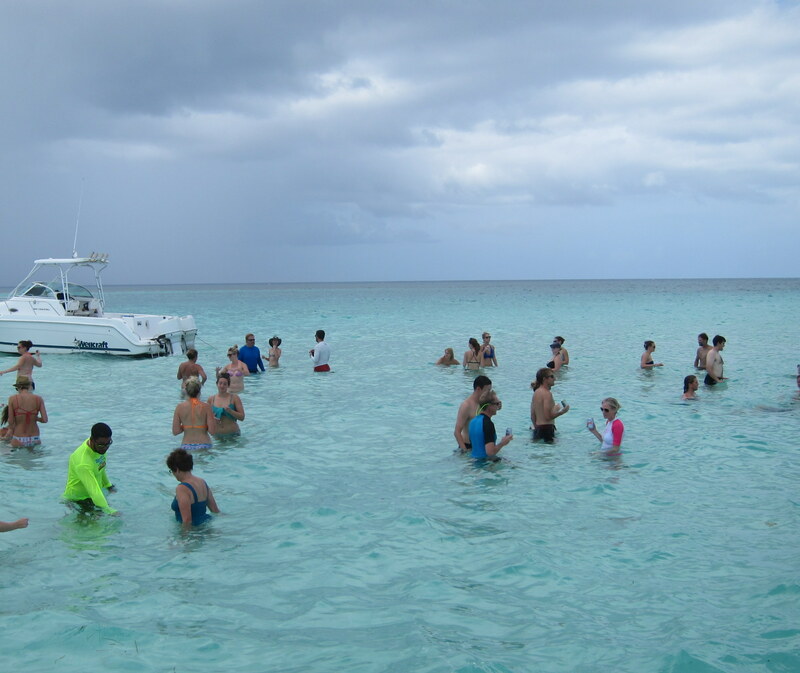 We stopped for a swim and some snorkeling at Starfish Point where the sea bottom is littered with beautiful red starfish. 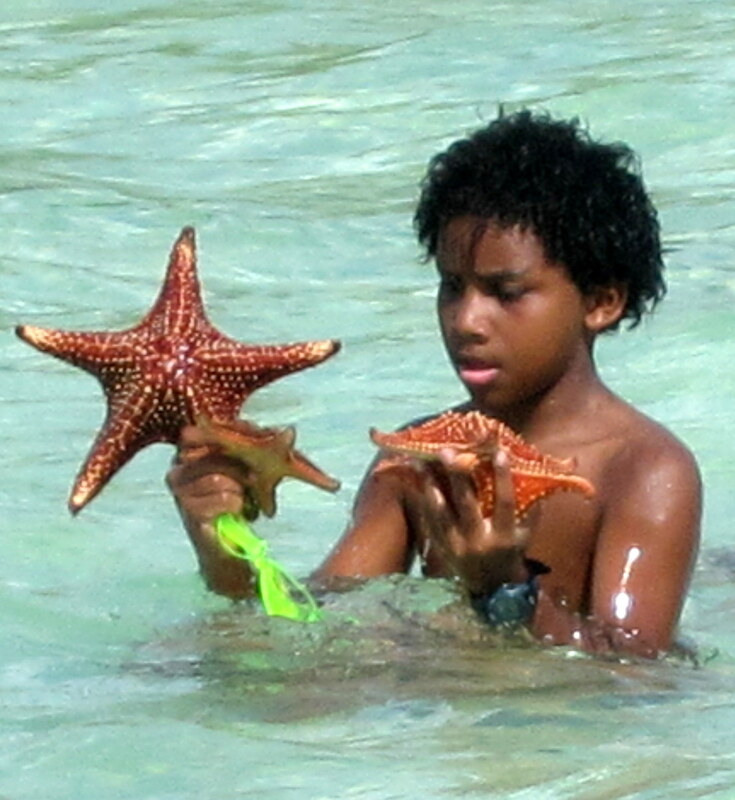 The local kids entertained us by diving down and collecting the starfish from deeper waters. We finished up the trip with a visit to Kaibo for curry fries and drinks and then partied our way back across the sound.